Los Angeles’ premier jug band, has just released its debut CD, Delicious Moments. What do Sausage Grinder and Sideshow have In Common? I received a few photos and info from the wedding which included some background on the band, that lead me to check out their music. What a feast for my ears! 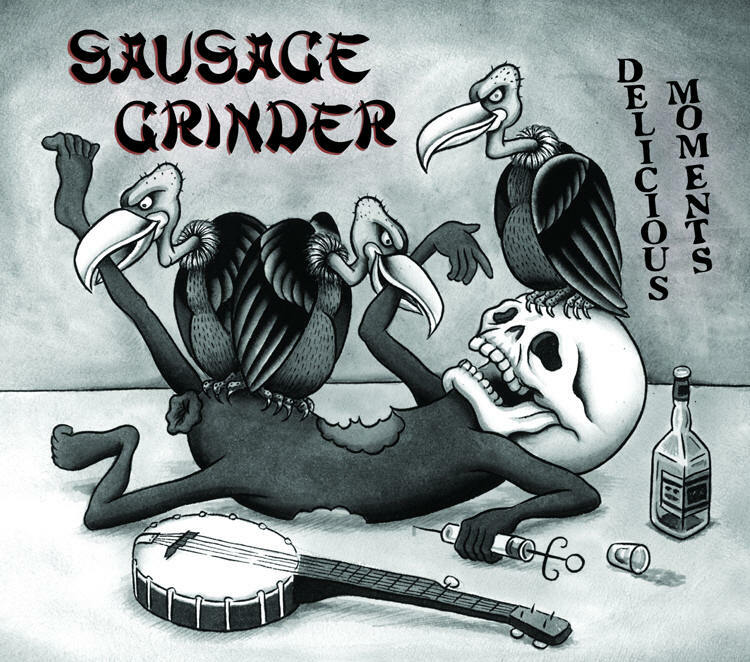 Sausage Grinder - Delicious Moments is just that, a grinder full of Johnson, Waite, Louis and Crumb, with a whole lotta Rhythm and Bones....these guys and a gal really GET IT! A blend of old time music, with one eye to the blues, and jug band music, the other to a progressive insight into Hi Di Ho, ragtime, and the good old hillbilly hoedown, which leads them down the road to their own take on the old time styles, they keep us tapping our toes and enjoying the great old days when music was played by them folks for us folks. If you enjoy old time music you'll love the Sausage Grinder. I DO! Go out now and pick up a copy or 2 or 3 of their new CD Delicious Moments and share it with everyone you know. Sausage Grinder w/ Steve James plays "If You'se a Viper"